Attention all '90s kids!!! 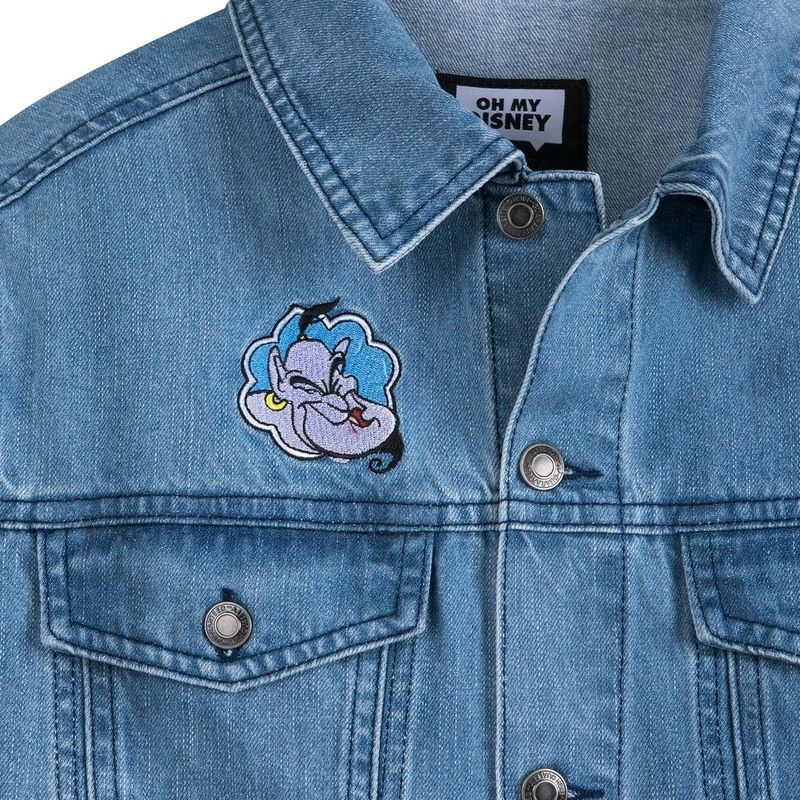 You'll be VERY EXCITED to hear that Disney has teamed up again with Oh My Disney and JUST launched an entire flashback collection inspired by some of your fav childhood Disney movies like Beauty and the Beast, Aladdin, and The Lion King — JUST to name a few! And they're all available now at shopDisney's Oh My Disney collection as well as in actual Disney Stores! 1. 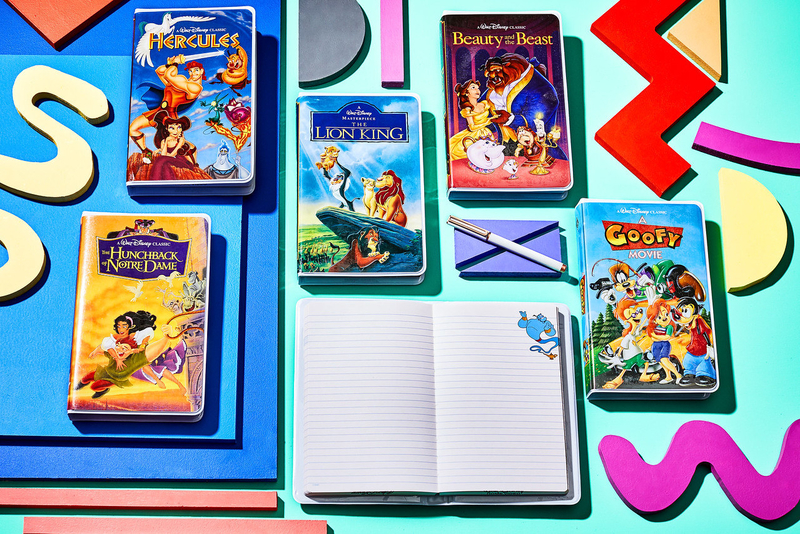 Like these clever Aladdin, Beauty and the Beast, A Goofy Movie, Hercules, The Hunchback of Notre Dame, and The Lion King "VHS Case" Clutch Bags. These padded, vinyl-covered clutch bags look just like those famous clamshell cases from your childhood! Get them from shopDisney or Disney Stores for $24.95. 2. This oh-so-perfect in pink Belle and the Beast T-Shirt. Admit it, your little '90s self WISHES you had this back then (well you can have it now!). Get it from shopDisney or Disney Stores for $26.95. 3. This very vintage-looking Max Pullover. Powerline himself would be jealous! 4. 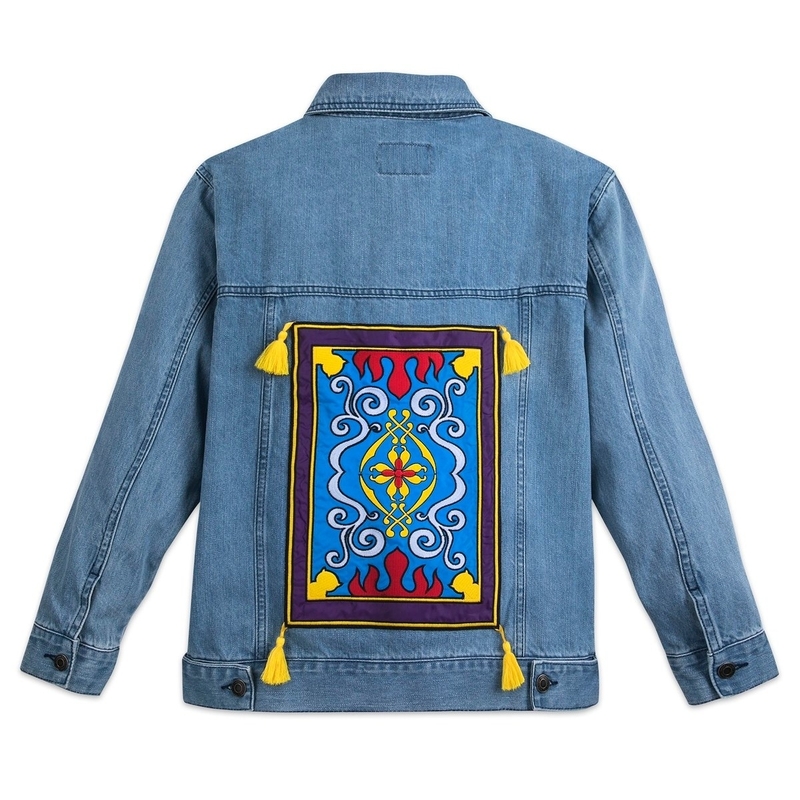 This magical Aladdin Denim Jacket. It's a whole new DENIM world! 5. 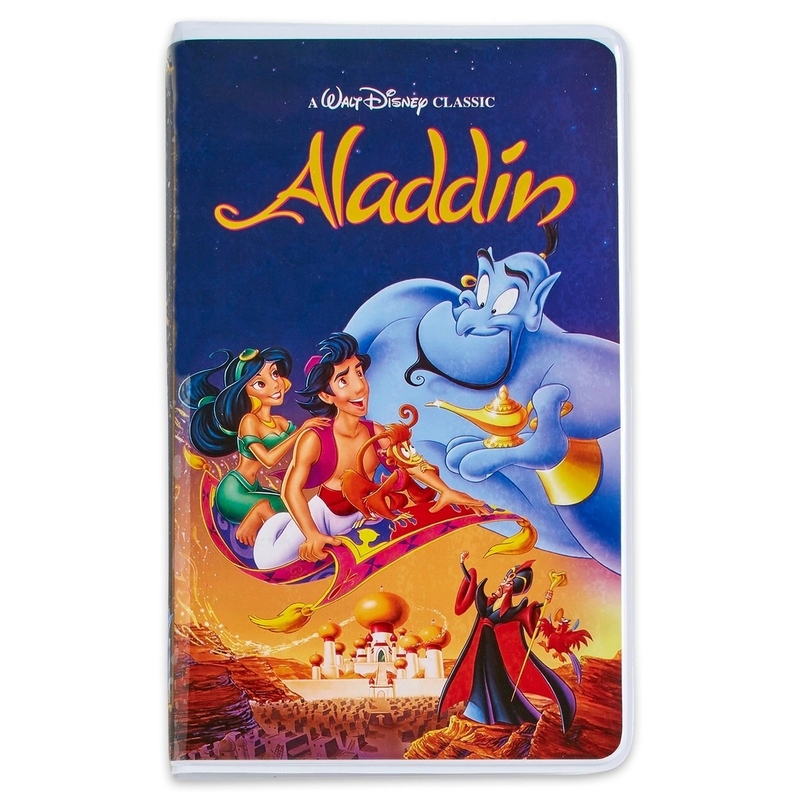 These REALLY COOL Aladdin, Beauty and the Beast, A Goofy Movie, Hercules, The Hunchback of Notre Dame, and The Lion King ''VHS Case'' Journals. There's even a page inside each one that looks like a VHS cassette! Get them from shopDisney or Disney Stores for $14.95 each. 6. This nicely detailed Hercules Pin Set. Memo to me: get these! Get the set from shopDisney or Disney Stores for $16.95. 7. 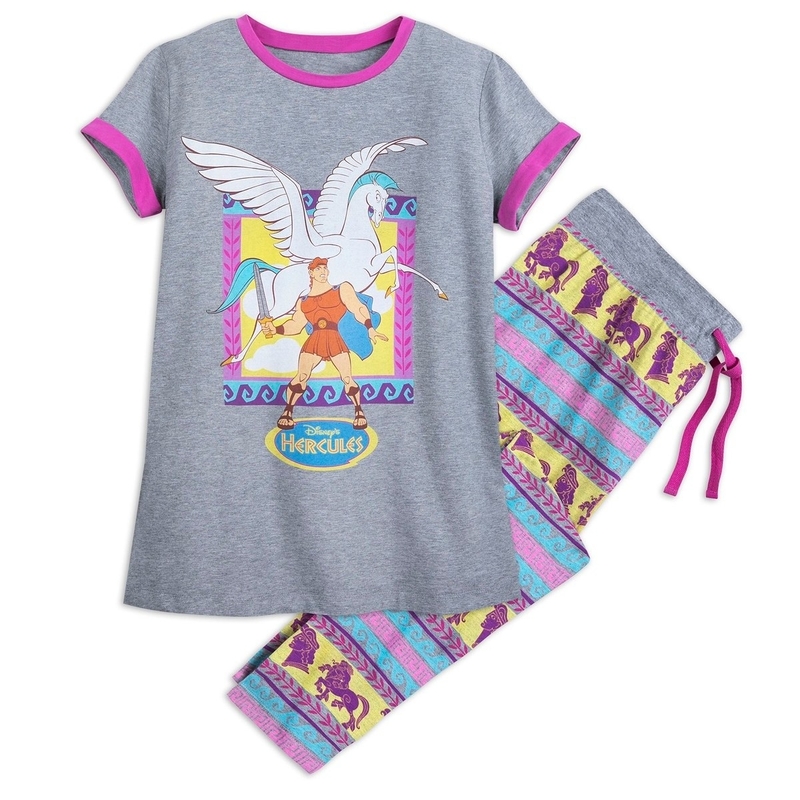 This nostalgic Hercules and Pegasus Pajama Set. Feel like a god on Mount Olympus in this super-soft set. Get them from shopDisney or Disney Stores for $26.95. 8. These teeny tiny Disney Animated Feature Mystery VHS Keychains. 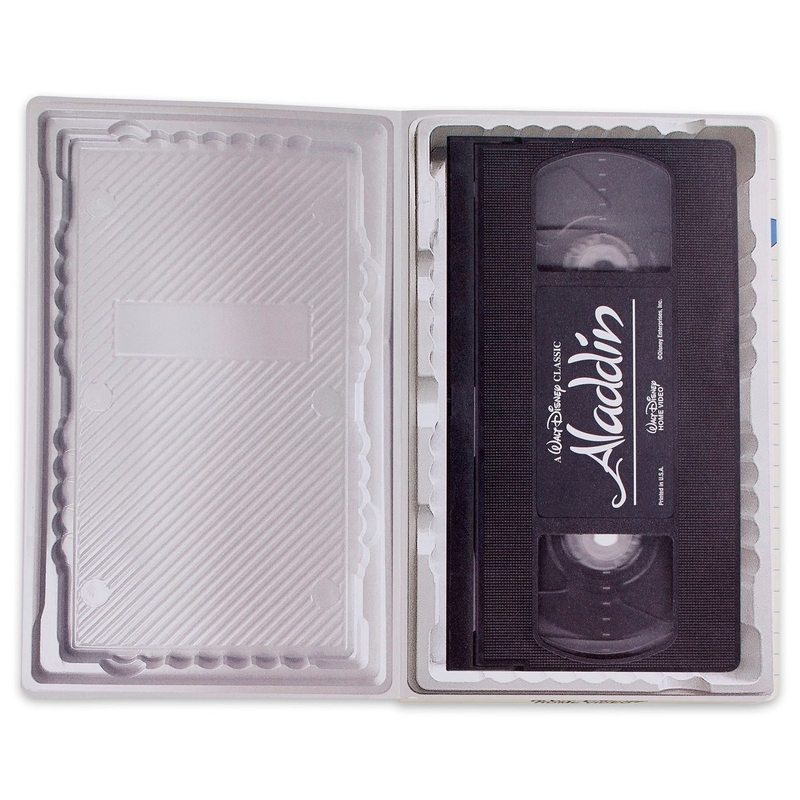 You won't know which movie you got until you open the box, and two of the six are mystery chasers not revealed here! Get one from shopDisney or Disney Stores for $5.00. 9. These Aladdin, Beauty and the Beast, A Goofy Movie, Hercules, The Hunchback of Notre Dame, and The Lion King 8-Color Ballpoint Pens. Remember how you used to try and get ALL the colors to come down at once in these kinds of pens?! Get them from shopDisney or Disney Stores for $6.95 each. 10. This cool Hercules 2-Piece Mug Set. Go the distance with your hot drinks! 11. This way-too-cute The Lion King T-Shirt. Featuring a "Hakuna Matata" reminder on your sleeve, OF COURSE. 12. This enchanting Beauty and the Beast Drinking Glass Set. Go ahead, be our guest! Get the 4 pc. set from shopDisney or Disney Stores for $19.95. 13. And finally, this simple, but super nostalgic, The Lion King Desk Clock. So you can remember better TIMES!